AIRASIA (5099) forming bolinger band sequence. 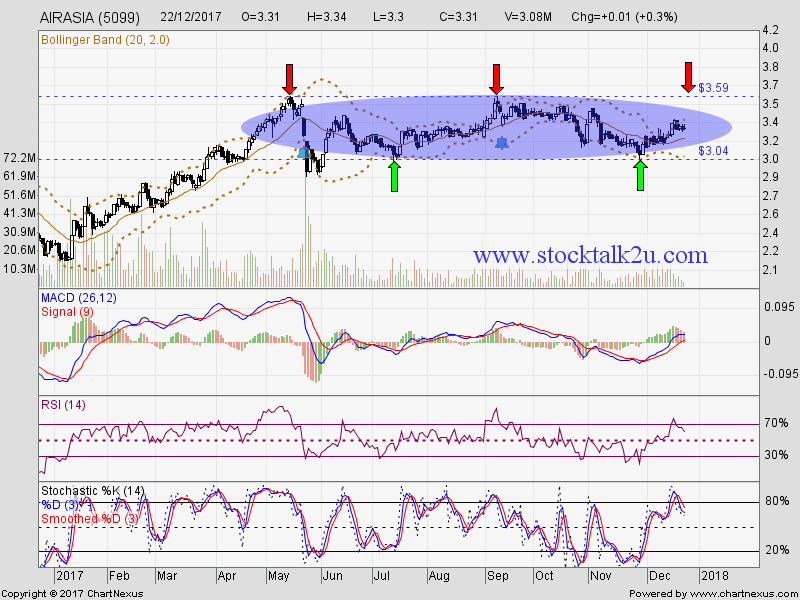 Will it form lower low or retest RM2.94 support level? Immediate resistance @ RM3.48 level. 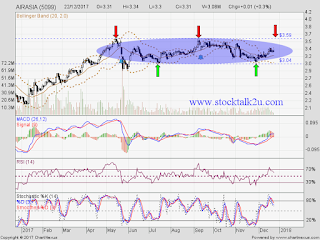 Subsequent resistance @ RM3.59 level. Immediate support @ RM3.17 level. Subsequent support @ RM3.04 level.